Eat so you’re not hungry and be sure to take in enough protein, carbohydrates, and fats. The end. Just kidding. If only it were that easy! Before I delve into this any further, there are a few of things I would like to say right off the bat. First of all, I am not a nutritionist. Yes I do a lot of research and yes I have a fairly good understanding of the concepts, but I do not have any formal training in the area. If you have dietary restrictions or concerns, while I would be happy to provide my opinion, I highly recommend speaking with your doctor before making any changes. Second, it’s important to learn that every body is different! Our needs differ based on our age, physical activity level, health conditions, and fitness goals, therefore something that works for one person may not work for another. It’s so important to really tune in with our bodies; I know it sounds like a load of bull, but if you listen closely your body will tell you what it needs. And finally, when I refer to “diet”, unless specified I am not referring to some short-term scheme to lose weight. I am referring to our way of eating! NOW! With that out of the way, let’s get to the fun stuff. I feel slightly overwhelmed because there’s so much to share, so expect a lot more nutrition-related posts in the future. Today we’ll start with the basics: protein, carbs, and fat. There are a lot of myths surrounding the latter two, so I’m really looking forward to clearing those up for you so you can embrace them in your life! These are the macronutrients that make up almost all of the foods we eat. Some foods are naturally lacking in one or two of these nutrients and others are lacking them due to manufacturing and other processes. This (and for a few other reasons) is why it’s so important to eat a wide variety of foods. While the amount of protein, carbohydrates, and fats that needs to be consumed differs between individuals, we ALL need to include these macronutrients in our diet. No protein? Say goodbye to lean, beautiful muscles and healthy hair and nails, because protein is essential for building and repairing tissue. You can also expect some fun hormonal imbalances, since proteins help our bodies create hormones! Want to hop on that low-carb or no-carb bandwagon made popular by the Atkins diet years ago? As carbohydrates are our body’s main source of energy, if you attempt to cut carbs completely you’ll run out of energy! You’re not going to last long like this, trust me. 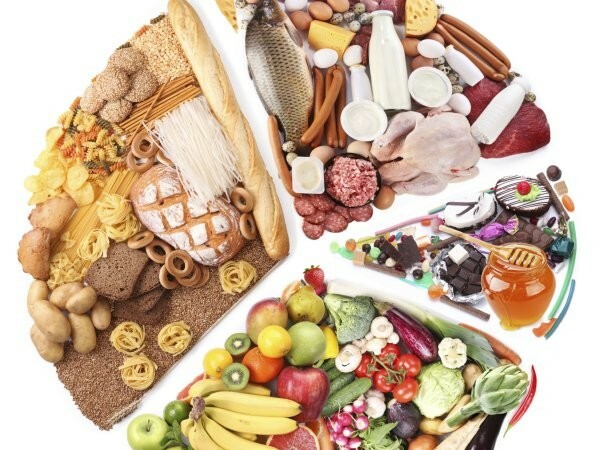 A diet that is consistently low in carbohydrates can be detrimental to your health. As your body realizes that its main source of energy is no longer coming in at a steady state, it’s going to start breaking down your muscles and using those for energy. Gross, right? Even more undesirable, at the same time your body will start holding onto all of the fat you consume so it can be used for energy later since you’re depriving it of its favourite energy source. Processes the body views as “unnecessary” will begin to cease, such as the menstrual cycle. Ladies, I know at first thought this sounds great. But it’s not! We have these things for a reason. Don’t get too worried now, when you severely restrict carbs your dizziness, light-headedness, and cloudy thoughts will likely cause you to reach for the nearest pastry or chocolate bar before any long-term damage continues. And finally we have fats. Poor fats, they have such a bad reputation due to saturated fats and trans fats. But what about the good fats? The monounsaturated and the polyunsaturated fats, like the ones we get from eating nuts, avocados, and vegetable oils? These fats allow our bloodstream to absorb vitamins A, D, E, and K, and help with the production and maintenance of happy hormones and healthy cellular processes. Saturated fats and trans fats are the ones we hear about that go around causing heart disease and raising the bad cholesterol (yes, there is good cholesterol! But we’ll get into that another day). We can find saturated fats hiding in meat, dairy, eggs, and some vegetable oils. Trans fats are commonly found in fried foods and foods that contain hydrogenated oils, such as margarine and cake frosting (damn!). So what do we do, since many of us consume these things on a regular basis? Well, a good rule of thumb is to limit our saturated fat intake to 10% of our total fat intake, and to try to limit our trans fat intake as much as possible. At the same time, we can increase our consumption of fatty fish, nuts, and avocados, and they will work together to raise our good cholesterol and allow us to absorb all those yummy vitamins. I highly recommend monitoring what you eat for a day (or a few!) to gain an understanding of how much you’re consuming of what. I’m not advocating calorie counting here; I prefer to call it calorie monitoring! I track my food each day to make sure I’m getting enough protein, carbs, and fat, and also to ensure that I have an even distribution of calories throughout the day. There is a big difference between eating 1500 calories at breakfast and nothing else the rest of the day, and eating 1500 calories spread evenly throughout the day. Feeding your body multiple times throughout the day will keep your metabolism high and leave your insides happy. Even if you only want to try it out for a day, it can be really interesting to learn the specifics of what’s going inside of you. If you want to take it a step further, play around with the recommended ranges and see what makes you feel at your best. Because that’s what this is all about! This is only the tip of the nutrition ice berg. I didn’t even explain the different types of carbohydrates or unsaturated fats! But in an effort to keep this at a read-able length I’ll stop here. I’m super passionate about proper nutrition, so look forward to lots of similar posts in the future! Is there anything in particular you’d like to know or are curious about? Let me know and I’ll do my best to include it! « Beating the Winter Blues + A Yummy Salad Dressing To Get You Started! Yes, unsaturated fats are the ones we want to consume! Saturated fats are okay too, just in small quantities. Our early ancestors took in saturated fat from their meat feasts! Butter fits into the saturated fat category; in my opinion it’s a better-for-you option than margarine. It’s higher in fat and calories than margarine, but it doesn’t contain any trans fats and it’s processed with mainly natural ingredients. Margarine, while it is lower in calories and has been processed to include some unsaturated fats, can also contain trans fats (although many companies are starting to steer away from that) and lots of other unnecessary ingredients. “Light” margarine or “salt-reduced” margarine? Fuggedaboutit! Go ahead and enjoy your plain old butter, just in smaller quantities.